the Today Show cast took a week-long train trip. Following more than a decade spent refurbishing passenger cars, locomotives and stations, introducing new passenger equipment like the Amfleet and Superliner cars and rebuilding the Northeast Corridor (NEC), Amtrak was ready for the national spotlight in 1985. That May, the popular Today Show with Bryant Gumbel and Jane Pauley took a five-day trip through the central United States aboard a special Amtrak train dubbed the “Today Express.” Cars were modified to provide office space and technical facilities for the television crews. In addition to an early morning dose of Amtrak, people may have also seen Amtrak trains and stations featured in the blockbuster hit Witness, starring Harrison Ford and Kelly McGillis. Country-western star Merle Haggard shone the spotlight a little brighter that fall when he chose Amtrak for a special whistle-stop tour focused on the “plight of the American farmer.” The charter train, dubbed “The American” left Bakersfield, Calif., on Sep. 16 and arrived in Chicago a week later. Musicians Willie Nelson, Kenny Rogers, Johnny Cash and Waylon Jennings joined Haggard for parts of the journey. New York-Florida trains such as the Silver Star saw ridership increases in FY 1985. “A zero [federal] budget for Amtrak...takes an organization...that has taken 14 years to build...and permanently wipes it out…This is an irreversible decision." - Amtrak President W. Graham Claytor, Jr. In testimony before a Congressional committee in April, then-Amtrak President and CEO W. Graham Claytor, Jr., said, “A zero budget for Amtrak is quite different from most other proposed cuts in that it takes an organization with a $3 billion investment that has taken 14 years to build, a going concern with 25,000 employees, and permanently wipes it out…This is an irreversible decision – we would never be able to bring passenger service back again.”1 Following a months-long debate, Amtrak received a federal grant that represented a 15 percent reduction over Fiscal Year 1985. Due to the reduced funding levels, Claytor told employees in December 1985 that the company would need to take “difficult steps to reduce our operating costs.” As a result, temporary service reductions were instituted in early 1986. In 1985, Amtrak carried approximately 20.8 million customers. Their commendations about Amtrak service rose six percent while complaints dropped 27 percent. System-wide ridership increased, with noticeable gains on the Auto Train (Lorton, Va.-Sanford, Fla.), New York-Florida trains and the Metroliner Service (New York-Washington). A number of service changes were implemented in response to market demand. 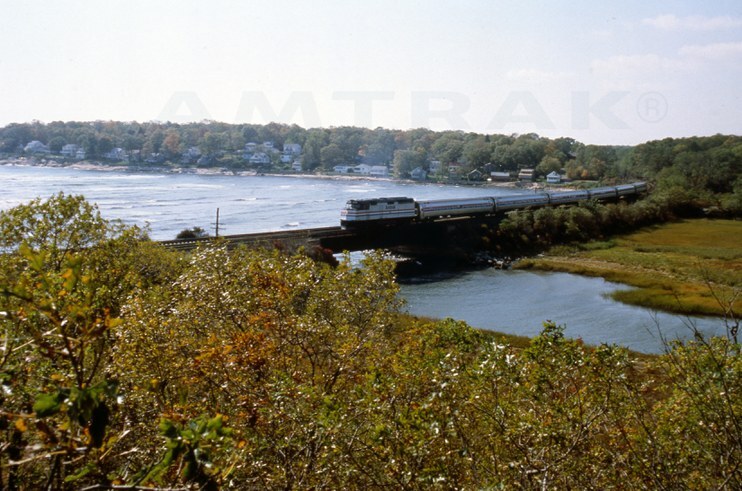 New trains launched included the Bay State between Boston and New Haven via the Connecticut River Valley. 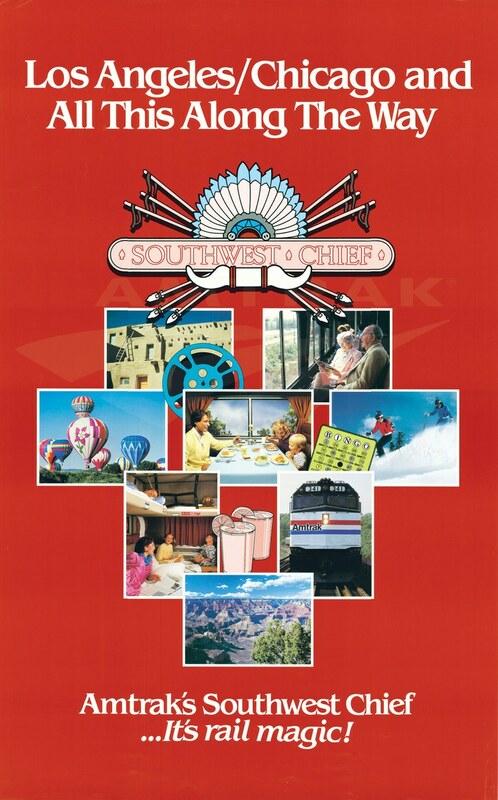 On the Southwest Chief (Chicago-Los Angeles), Amtrak introduced “route map guides, souvenir dining car menus with regional specialties, games, movies, Indian guides, hospitality hour in the lounge, music and destination tour packages” aimed at attracting vacationers. Customers on the Cardinal (New York-Chicago) could learn about the history of the passing towns and countryside from National Park Service (NPS) interpreters who rode the train through part of West Virginia. Three decades later, volunteer interpreters can be found on numerous trains from late spring into early fall through a NPS-Amtrak partnership known as Trails and Rails. Three state-supported routes were discontinued during 1985. With the close of the Louisiana World Exposition, the temporary Gulf Coast Limited (Mobile, Ala.-New Orleans) funded by the states of Alabama, Mississippi and Louisiana came to an end shortly after the New Year. The Carolinian (Charlotte-New York), which began running in October 1984 through the financial support of the state of North Carolina, ceased operations in September 1985. Although ridership was strong with 120,000 riders, typical passenger trips were shorter than expected and revenues therefore did not meet projections. In Minnesota, the state ended its financial support for the North Star (St. Paul-Duluth). Customers may have noticed new and upgraded stations in Quincy, Ill.; Kansas City; Warsaw, Ind. ; Jackson, Mich.; and Santa Ana, Calif. In June, Amtrak moved into the rehabilitated Indianapolis Union Station. Approximately 15,000 people attended an open house and equipment display, while “Country Edition,” a country and western band composed of Amtrak employees, provided live musical entertainment. Amtrak also began contemplating major redevelopment around Philadelphia 30th Street Station and Chicago Union Station. New technologies made it easier for travel agents to issue Amtrak tickets. In February, Trans World Airlines was the first to link its Programmed Airline Reservations System (PARS) with Amtrak’s automated ARROW system. Amtrak benefited by gaining access to 1,650 PARS travel agency subscribers who previously had not served as Amtrak agents. In addition, by fall any travel agent who sold airline tickets gained the “capability of making reservations and selling Amtrak tickets, using the facilities of the Airlines Reporting Corporation.” This almost doubled the number of travel agency locations at which customers could purchase Amtrak tickets and tours. failed to meet revenue projections. In April the company celebrated a decade of ownership of the Beech Grove, Ind., Heavy Maintenance Facility, where today skilled workers still maintain, repair and overhaul passenger cars and diesel locomotives used on national network trains. The occasion was marked by an equipment display and shop tours. Amtrak and local officials gathered in July to dedicate the newly-acquired Bear Heavy Maintenance Facility in Delaware. Allowing for the consolidation of previously scattered functions, it became the primary shops focused on the overhaul and wreck repair of Amfleet I and Amfleet II passenger cars. Amtrak took over responsibility from the Federal Railroad Administration for seeing the Northeast Corridor Improvement Project to conclusion. 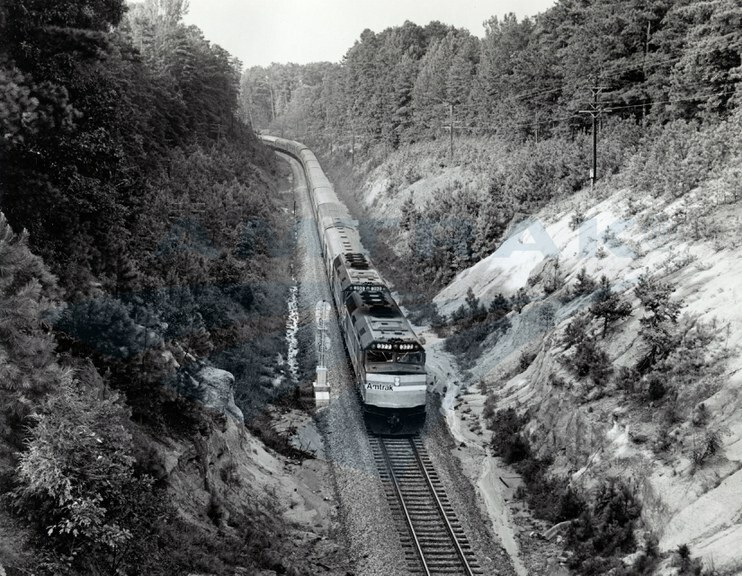 According to the 1985 annual report, “Program achievements to date included installation of 410 miles of concrete ties and 535 miles of continuous welded rail; 15 drainage and flood control projects; nine tunnel renovations and 202 bridge projects. New coach yard, engine and car facilities at Ivy City (Washington, D.C.); various stations built or rehabbed.” Work continued on the new signaling and the Centralized Electrification and Traffic Control system (CETC) to be based in Philadelphia. Concurrent with enhancing the company’s physical plant, progress was made in acquiring new equipment. Ten F40 diesel locomotives were added to the fleet, and three prototype single-level Viewliner cars began arriving for assembly at Beech Grove. Various interior modules allowed the stainless steel shells to be used for coaches or sleeping, lounge or dining cars. Amtrak also focused on the continued development of its workforce. A workshop for first-line supervisors and middle managers was largely completed during Fiscal Year 1985. “Our overall aim in the workshop program is to encourage a consistent management style and leadership philosophy throughout Amtrak,” noted the annual report. The Joint Labor Management Productivity Council, created in 1982, had grown to include eight local steering committees working to identify productivity-improving tasks. In Los Angeles, for example, the steering committee determined a way to make productive use of worn dining and sleeping car linen for cleaning purposes in the shops. A system-wide safety committee addressed specific safety issues and began installing a computerized safety information system to track and analyze employee injuries and accidents. New F-40 locomotives joined the Amtrak fleet. 1 Hearing before the Subcommittee on the Department of Transportation and Related Agencies, Appropriations Committee on Appropriations, United States House of Representatives, 99th Cong. (1985) (Testimony of W. Graham Claytor, Jr.). 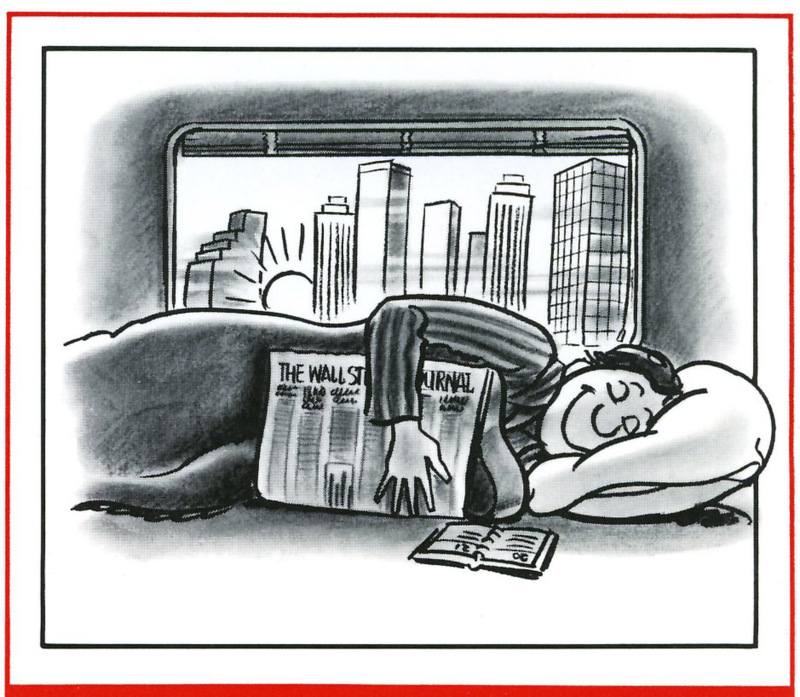 National Railroad Passenger Corporation, Annual Report (Fiscal Year 1985). National Railroad Passenger Corporation, Newsbreak: Vol. 3 (1985), Nos. 1-51.